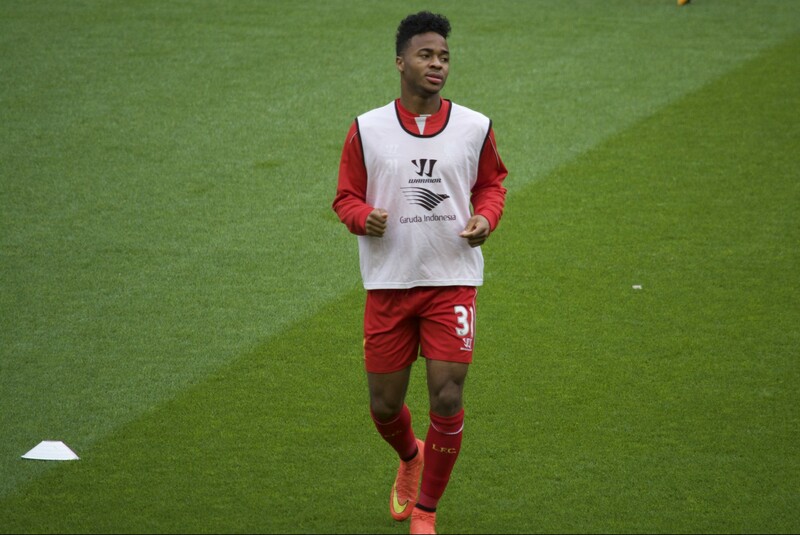 Liverpool’s Raheem Sterling speaks out on his contract talks – is he greedy? LIVERPOOL youngster Raheem Sterling has given an exclusive interview to the BBC that will no doubt add to the controversy surrounding the current standoff between the player and the club over a possible new contract. Sterling’s current contract has plenty of time left on it but it’s a £30k-£35k per week contract that reflects his standing at the time he signed it, as a teenager with much still to prove. Having turned 20 in December he now expects a better deal, but his expectations of what he’s worth seem to exceed the club’s and the talks have been put on hold until the end of the season. At least that’s how his expectations seem to have been portrayed on social media and in the gossip columns. This was his chance to put his side across. Why had he put his contract talks on hold, why had he rejected so many offers? The interview included a couple of questions about England and Liverpool’s chances of making up for the ground lost on Manchester United after the recent defeat, but most of it was about Sterling’s future and how he feels about playing for Liverpool now and after the end of this season. It’s a long interview and the chances are unless you sit down to watch it you’ll only get to read snippets of it, so here’s the biggest part of what he said, in context. On being asked to play a deeper role in the current system than the kind of attacking role his reputation was forged on, Sterling said: “As a player you’re going to do the best for the team and if the manager asks you to play in a more defensive role then you’ve got to do the job for the team and that’s the most important thing for me, to always try and help the team, and that’s no different. “I’ve tried to do my best and it’s not my most comfortable position but as I said before I try to help the team in any shape or form so that’s purely how I look at things, but I’m more of an attacking player so when I’m a bit further back the pitch it’s different for me because it’s not something I’ve been doing when I was younger and youth. Sterling was asked if the manager had explained to him why he was playing in this more defensive role: “Obviously we’ve got great players, good players, up front, obviously Dan (Daniel Sturridge) coming back in the team and Ads (Adam Lallana) and Philippe (Coutinho) doing really well and I think it was just another chance to fit everyone in the team and obviously someone’s got to get sacrificed to be in the more defensive positions. Ultimately though, he wants to be up front? “Yes,” he replied, “Everyday going into training that’s what I train to do, to be up front – taking players on, trying to assist and score goals. “Ultimately that’s where I see myself. “As a ten year old I’ve always loved to play football and to hear some of the comments – not saying Brendan said the comments but obviously the fans and the public, the general public – saying I’m a greedy boy to reject such a huge contract but as a ten year old this is what I’ve wanted to do, to play football at the highest level, and that’s what I want to keep doing in my career. “Every time I finish a game it’s about the contract, every time I score a goal it’s about the contract. “I’ve still got two years left on my contract and it’s not the end of the world at this moment in time. I’ve still got time before the contract is finished so I really just want to focus on playing football. I don’t want every time I finish a game my contract comes up, I tried to kill it off, but I don’t think the public can see it that way I think they just see it as this 20 year old boy being greedy. But I just want to take the time to think about what I have achieved in my career so far and where I need to go and what I need to do to get better as a player and that’s been no different for me from a ten year old to a 15 year old coming up on the train with my mum and agent at 15 to see where my next part of my career is going when I was coming to Liverpool so the most importan thing for me is to just keep my focus, not really listen to what’s being said, I know what I have planned for myself on personal terms where I want to be in the next five to ten years and that’s been no different from day one. I’ll just keep doing what I need to do on the pitch and hopefully I can reach where I need to go. Sterling took a second, before replying: “Obviously it’s flattering to get such a huge contract. No one when I started out at QPR would have dreamed of this day, to be fair, to have such a huge offer in front of me and I’m really thankful for everyone around me and the club for offering me such a good contract. “But, at this moment in time, as I said before, I think it’s all been about the contract and I just want to focus on my football right now and trying to help the club get to the final of the FA Cup. We’ve got the FA Cup coming up and I just need to singly focus on football at this moment in time. “I don’t want everything to be about this contract. “I just want to finish as high as possible in the table with Liverpool – that’s been the focus from the start of the season, before there were contract talks, and I want to win something at the end of the season and the FA Cup’s a great chance so hopefully we can go away to Blackburn and get a good result and go from there. Sterling was asked if it was true that there isn’t a figure Liverpool could offer him now that would make him sign before the end of the season: “Yes – as I said before it’s not about the money at all, it’s not about the money at all. Asked about recent comments from Jamie Carragher, who said Raheem was in danger of having the fans turn against him, the player said: “You hear, you see, I don’t really read into it as much but you see little things, you get little munch screens or someone sending it to you on Whats App and to be fair everyone’s got their own opinion. “I’m sure Jamie when he started out playing for Liverpool he had his dreams and hopes and I’m no different I’m a young kid with dreams and hopes so he’s entitled to his opinion and at the end of the day I know what I want from my career and I’m sure he did when he was roughly the same age as me. What would Raheem say to those fans who perhaps see him as wanting “a shed load” of money for playing football? “What I could say to these fans is that’s not me at all. “Money is not everything in my life, I’ve got family, I adore my mum, (she’s) been there for me throughout my life, my daughter now who’s two going on three and these people mean everything to me and never once in my life – I think everyone around me can vouch for me – has ever been about money. “I talk about winning trophies throughout your career that’s what I talk about. I don’t talk about how many cars I’m going to drive, houses I’ve got, I just purely want to be the best that I can be and with the people around me I’m just grateful. “I don’t want to be perceived as a money-grabbing 20 year old I just want to be seen as the kid who loves to play football and wants to do the best for the team. I would never like the fans to think bad of me, to think I just want as much money for myself. Is the decision not to sign now ultimately about ambition? Suarez left, Gerrard’s leaving, the Champions League didn’t go well and the league wasn’t won as he thought it looked like it was going to be: “I think the club’s got good ambition. Last season was a really good season, obviously a disappointing end as I said before. Is the club a good place for you to stay? “Yes, definitely,” Sterling said. “The structure at the club is great for young players, the manager is great for young players, he helped me come through, he’s had a lot of trust in me, put a lot of faith in me and played me week in week out and not afraid to throw me in at the deep end when the time was right. “Against Man City he made me play from the start, now Jordan (Ibe) has been thrown in, Lazar (Markovic) is the same age as me, he’s bought Lazar, he’s a manager that has faith in a lot of young players. Does it bother Sterling that people out there, who don’t really know him, just see him as greedy? “Yes, obviously, if you turn down the offer that’s been said out in the public they just think you just want more and that’s not my case at this moment in time. With Sterling being linked to various other clubs on the back pages and in the transfer gossip columns he was asked if he had a clear idea of where he wanted to be next season. From what he said in response, it sounds like it’s still Anfield: “I think yes, in my head, I think I’ve sat down and thought about it and I said at the end of the season I’d just like to sit down with the club and my representatives – at the end of the season. Sterling was then asked if the contract talks had got into his head, along with playing at wing back, and affected his form. “It all adds up,” he said. “Obviously the fans are a bit frustrated at me for not signing straight away and they probably can get on your back a bit but that’s football and you’ve got to accept these things but I just want to say it is a bit frustrating to be seen in that way. “I’ve always tried to give my best for Liverpool and tried to do my best and it can get a bit much when everyone’s on your back a little bit and it can affect you a little bit as well. Liverpool play Arsenal next, one of a number of those clubs linked with Sterling in those gossip columns, so does he find it flattering to be linked with clubs “of that calibre”? Why did Sterling feel it was important to speak out today? “Because personally I keep hearing I’ve rejected all sorts of contracts and obviously if I’ve put all contract talk until the end of the season I’m just… I’ve heard I’ve rejected another two contracts! “Well I just wanted to say if I’ve already put the talks off until the end of the season there’s no way I could have rejected this contract again, because me, the club and my representatives have spoken about it, that we’ll put contract talks until the end of the season and it’s obviously frustrating to keep hearing the contract situation keep going on and on when we’ve already spoke about it as a club and the player as well. And on the criticism he’s received from various pundits? “Everyone’s entitled to their own opinion, I’d just like to say it’s my career and I want the best for me and I want to reach my goals that I set out as a young kid. That’s been no different to them and they’ve had their dreams when they were playing and that’s no different for me and I’ve got my dreams. YOU DON’T NEED TO BE A GENIUS TO WORK OUT THAT STIRLINGS INTENTIONS ARE TO WAIT AND SEE IF LIVERPOOL MAKE THE CHAMPIONS LEAGUE , IN ANY CASE A BIT OF LOYALTY WOULD GREATLY BE APPRECIATED THE CLUB THAT HELPED HIM AND GAVE HIM THE CHANCE TO BECOME THE STAR PLAYER THAT HE IS NOW !!! . – The club and agent couldn’t agree. Things got a bit hairy. Lots of negative press about the player starts going around. Fans start to “turn” against him. – He’s now at a point where he has to seriously consider if Liverpool is the best place for him. That’s a big question for him to answer and he can’t decide it at this point in time. He’d probably like Liverpool to be successful but if they don’t make the CL and seem to be regressing then he needs to make a serious decision about what’s the best path for him as a football player. Maybe that means staying at Liverpool but if he’s going to sign a 5 year contract he needs to be sure he gets it right, chooses the right club and puts himself on the right path. He doesn’t want to be stuck at a club that ultimately goes nowhere. Really, none of the above bothers me very much. Sure, the agent has been quite ruthless in his evaluation and he’s tried to milk the club for as much as he can. But that’s his job and for better or worse Sterling has left it up to the agent to sort it out. For me that’s fair enough. That’s what agents are for. Sterling just happens to have an agent who is a really hard negotiator and doesn’t back down. His ambitions as a player match our ambitions as fans. The problem for us is that we don’t feel OK about changing allegiance when things go bad. That’s not what being a fan means. But it’s not like that for players. For them it’s a job, it’s THEIR career and if they think they will get a better career at another club then they have to move. They only get one chance at this, one 10 year period where they can be world class or just another so-so player or anything else in between. I think really that’s what gets us as fans, that we feel we HAVE to support Liverpool no matter what while players can pick and choose. That’s upsetting to us, but really it’s our problem, not the players’. Why should they limit themselves just because we’re put ourselves in this position? They will never have our sense of loyalty and love towards a club, not to the point where it will over-ride what they want for themselves in their lives. We wan them to, but ultimately only 1 or 2 players in a decade will show that. We had our Gerrard, our Carragher and let’s be honest, we’ve been lucky for that. Having top class players love the club like we do is rare and to get that twice in a generation is a great thing. Obviously for Sterling that is not the case. He’s not a die hard Liverpool fan and if he feels as if this club is not the best place for him then he’ll ask to move. We have little choice but to accept that. 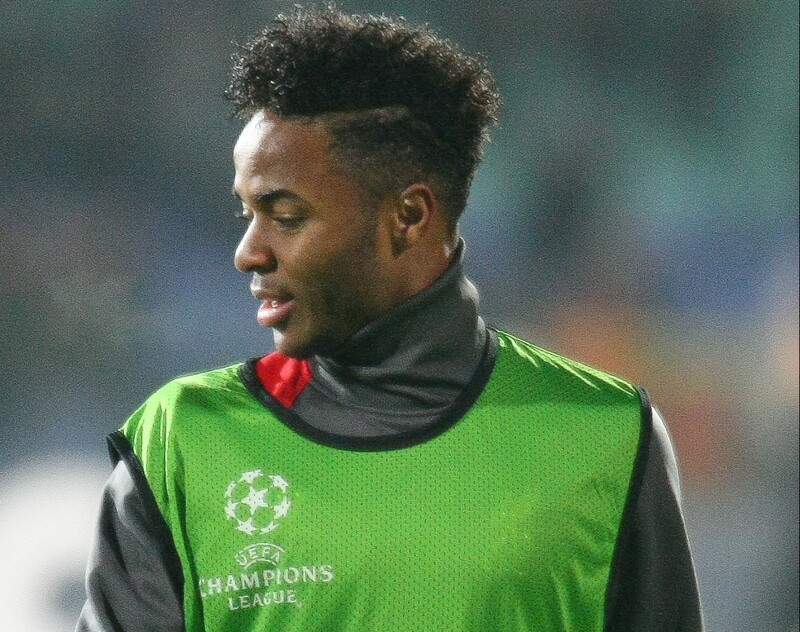 Sterling and his agent have a view of his worth which is far in excess of that which his play to date would support. He wants to play up front, but so far he has frankly been fairly poor in one on one situations with a keeper. He has had 66 shots and scored 6 goals in 28 games this season – hardly earth shattering is it? Thats a shot sucess rate of 9% and a scoring rate of 0.21 goals per game. These are not the stats of a world class attacking player, but the contract he appears to be chasing is that of a world class player. He is a young player with lots of potential, but he is a long way from the finished acticle. Typically, he played really well for England this week. Unfortunately he has not played at anything close to that level for Liverpool this season, and it’s Liverpool with whom he has a contract and in case he forgets it, pay his his salary. Suarez wanted away, but played a blinding season for Liverpool. Sterling either wants away or to get paid far more money than he is worth, but he is not playing well and doesn’t look too interested to be honest. What does that say about their respective value to a prospective employer? Why should Sterling get paid today a figure that he might become worth one day, if, and only if, he fulfils his undoubted potential? That’s not how remuneration works in any walk of life. If a decent offer comes in, the club should sell him. Ibe looks a better prospect anyway, who hasn’t got a decidedly murky past in his private life, as Sterling does, and is therefore less likely to go off the rails. The board should not entertain a player disrupting the entire club to satisfy his excessive demands. Sterling is fully entitled to hold out for the best pay packet he can get,but what message would it send if the club paid him £150K per week?